To be honest, I'm not sure what to think of this book. I liked King's book On Writing, it was written clearly and was easy to follow and understand. This book, however, was written in an entirely different style and it was off putting. I found that the language in the book made it hard to read through and connect with the characters in the story. To be honest, I'm not sure if I will continue with the series or not. 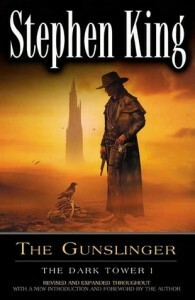 I probably will persist (because it's being made into films), but I don't think that The Gunslinger will be my favourite book (or series). 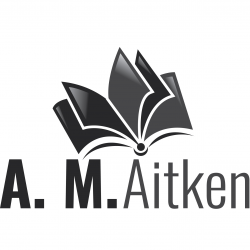 Roland is the main character in the book. He's the protagonist, the character we're following through on the journey. Firstly, I'd like to point out that in now way did I feel attached to Roland or what he's about. Maybe it's just the way things started or some of his backstory, or how he told stories that made it impossible to feel for him. I mean, I expected better development from King. The man in black is our Antagonist in the story. I guess he's a mixed bag as we find out he's the one that Roland is after and we know why - but we don't learn much about him as a man. Probably because this book is setting up for much greater things does he seem so distant and uninspiring. Jake Chambers is the only one I felt for in the book and the only one who brought it to life. He's a young boy who happens to be in the middle of nowhere when Roland passes. He brings the story a little life, but that is shut down when Roland finds out what he has to do. I feel like the boy was treated unfairly in this book. One of the themes I'd like to explore is morality. I guess King brings it up in these books (though I'm not completely sure if he intends to). I speak of morality in this case because of our hero, Roland, and how he is no hero (when we hear his stories and flashbacks). Also because of his decision for a higher purpose, he gives away his humanity (kind of). Another theme I'll touch on is what the future may look like. To me, it seems like Kind has created a deserted world which has dried up and died after humanity laid waste to it. It's quite a common theme these days as people struggle to see what will happen with all these new presidents and leaders around the world changing and upsetting the balance. While this is not my favourite series so far, I'll leave my complete judgement until I've got to the very end of the entire series. But, if you're a fan of fantasy and have read about King's grand entrance into it with these books, then please don't start yet. Maybe when I read the second book, I'll completely change my mind. Who knows?